Hey guys, its Chief Siddharth here. Today I will be doing a team spotlight which focuses on Atletico Madrid in FIFA 15. This spotlight will help any layman (or professional) learn how to use this extraordinary club in FIFA 15. You may be thinking Chief Sid’s crazy. Why would he do a post on such a weak team? Atletico Madrid? Seriously? These questions will be answered soon, and hopefully everyone starts playing like a pro with Atletico now! Atletico Madrid. La Liga champions. Undefeated for 6 consecutive games against Barcelona. Broke the ‘big 2’ trend in Spanish football. Reached the Champions League final only to be denied by an unimaginably fit, enduring Real Madrid side packed with stars. The best defense in Europe. Irresistible when it comes to set-pieces. Knocked Barcelona out of the Champions League. Made Lionel Messi seem like an amateur. Forget Messi, they subdued Eden Hazard, Cristiano Ronaldo(who still notched up many goals), Gareth Bale, Willian, Oscar, Neymar, Iniesta and every other creative player they took on with ease. Atletico Madrid are a dream club. Designed on a near nothing budget, and filled with talented, physical players and blessed with a legendary manager in Diego Simeone, Atletico Madrid are to be envied. They eliminated a ‘reinvigorated’ Barcelona efficiently, while knocking out a Jose Mourinho Chelsea side in style. Even Mourinho accepted they were the simply superior side to Chelsea in that tie. Now, such a strong aerial and defensive side are not the fastest on the planet unlike their city rivals. But there is a way to make them play well together. Not one, but 2-3 adaptable method for success shown. Before beginning I’d like to state that Atletico Madrid are solid defensively, so my articles will focus primarily on how to develop their attack and score to frustrate opposition. Crucial Players in Attack: Mario Mandzukic, Antoine Griezmann, Cerci. The first tactic with Atletico Madrid is to sit deep with your defense and midfield, and force the opposition into imposing their possession on the game (like Atletico typically against Barcelona). Defensively, your covered provided you position your players properly and contain creative speedsters on the wing. When it comes to attacking, utilize fast players such as Cerci and Griezmann to run down the wings, with a few intricate passes in between to get them into a good crossing position. From there, simply cross it well with their strong foot to Mario Mandzukic, the target man who will head it in. Diego Godin and Miranda should be your center backs regardless of style. Right/Left backs should be Juanfran and Gamez regardless of style also. The midfield should always have Tiago and Gabi. These are mainstays in your formation, whether these two are central-midfielders or defensive midfielders. Tiago especially is crucial, considering his role of midfield destroyer who breaks up attacks. Gabi provides strength in midfield too. Formations for this style: 4-2-3-1 preferred, but 4-4-1-1 is also decent. Custom Tactics: Make the defense stay deep in their own half, and make counter attacking speed high. Otherwise, the team should be narrow, with less width on offer. Set width to zero if needed, this will ensure an impenetrable defense. Also set chance creation of crosses to high. Set pieces are also important, with crossing from free kicks and corners proving vital to goal scoring. Do not take these lightly, and practice set pieces just for this. Dribbling is meant for the center attacking midfielder and wingers. With the back line and defensive midfield decided, and the wingers and forward known, who is the center attacking midfielder? This could be either Koke or Turan, with both providing good creativity. Overall this tactic is meant to use Atletico’s aerial and physical superiority to good effect. While the first tactic had only one aim in crossing, this tactic revolves around utilizing Griezmann and Cerci as goalscorers as well. Counter attacking at high speeds is one key aspect of this method. Utilizing Koke and Turan’s creativity to set up goals is also a feature. Distinct Features: Unlike the first tactic, our aim will be to score classic counter-attacking goals involving not only crosses but speed through the center. A two striker formation is more appropriate for this, whether this means 2 strikers or one center forward and one striker. In the two striker formation, playing Griezmann on the left wing, and Mandzukic as right striker and Cerci as left striker will work. Also, use Koke through the center and Turan on the right wing (unusual, yes) to help facilitate play. No need to run, just play-make with them. Dribbling is also a job largely meant for Arda Turan and Koke depending on who you play. Leave the majority of the through balls and passes to them (you can do it with others too, but these guys are better). Suitable Formations: 4-1-2-1-2 (4-4-2 diamond wide that is) fits well. Custom Tactics: Set counter attacking speed to high, and ensure crossing and shooting chance creation is even. Others remain same as before. Raul Garcia, Rodriguez are good substitutes for a tiring Koke or Turan. The defense remains the same. Overall, play defensively but try to use technical ability to squeeze goals out of a few chances, regardless of crosses or shots. This tactic is not my favorite, or in fact close to it. It involves playing ‘tiki taka’ or possession with a side based on anti-possession. While many will disagree, whether it is my FIFA rival who plays possession with Bayern Munich, or Pep Guardiola himself, I strongly believe that passing the ball around with no real aim is not a good thing. This tactic involves possessing the ball with Atletico Madrid and attempting to slowly break down opposing defenses. Not much more to say. Play who you like, pass the ball around endlessly and hope your opponent makes a pitiful moment, then take your chance. Create custom set pieces from the training ground. This will help you take full advantage of corners, and free kicks. Also decide on who is your smallest player/ best crosser so that set pieces are not poorly taken. Practice makes perfect. Practice often before concluding that Atletico cannot be played properly. Take time and tweak your team depending on how your performing. If you find that something outside the Chief’s recommendations works, implement it! Useful substitutions help, and make sure you effectively bring on fresh players in your matches. Adapt to your opponents. If they are strong aerially, try a more shooting based approach, and vice-versa. So hope everyone enjoys this post. Next post is going to be on FIFA 15 Ultimate Team. Please leave a comment, subscribe, like and vote on the previous polls, read previous posts! 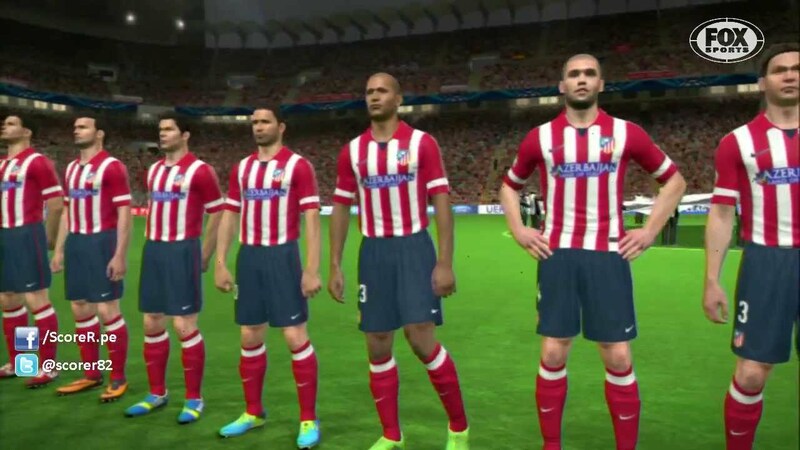 Also look at FIFA 15: A Closer Look at Atletico Madrid for more in-depth analysis. a blog url is? I am not even sure if that’s what its called? (I’m new to this) I’m referring to “https://chiefsiddharth.wordpress.com/2014/10/23/fifa-15-team-spotlight-atletico-madrid/”. Exactly how do I go about getting one of these for the website I’m building? You can go to blogspot or wordpress. They provide you with the URL. Just sign up. Then the tutorial should let you know how. However, your url will be followed by the website’s signature, unless you monetize it. You can learn more when you register. WordPress has a provider who filters spam. Its called akismet. This will cut down 1000 spam comments to below 50. You can’t monetize it very easily but there is no money invested for such a site. You can choose to invest and make it better, but otherwise just create a wordpress account and get started! WordPress is useful as they host everything for you. I am not an expert regarding blogengine. But you can definitely copy your posts manually using the copy function and pase them onto blogengine. Sure, I have a long list of articles which I am planning. Anything specific? boycecarpentier@yahoo.de. I will even sign up through your affiliate link if you would like. Gday! My name is Janeen and I just wanted to say your blog website rocks! an identical website url: https://chiefsiddharth.wordpress.com/2014/10/23/fifa-15-team-spotlight-atletico-madrid/ mine was only a few characters different. ever would like a guest post please email me at: janeenmcelhaney@yahoo.com. The game itself is a bit limited and does not offer too many options. by millions of application programmers all over the world. free and paid apps from every conceivable category, meaning the sky is the limit in terms of customisation and versatility. luck began exhilaration through the football globe. Fifth, he is the most humble superstar on the planet. Very useful info specially the closing phase 🙂 I care for such information much. Single attacking midfielder is responsible for man-marking the opposite defending midfielder. and run right into the next obstacle; counting while you tap helps prevent this. The traditional lofted cross is more based on luck. articles. I will bookmark your blog and check once more right here frequently. Women’s soccer never would have been the same if Mia Hamm hadn’t started up soccer when she was little. attempts to move to 2-0 in group play of the 2015 FIFA tournament. this will give you the necessary time for your defenders to run back. I designed this myself, but WordPress made the process too easy. Go to http://www.wordpress.com and there will be links to get you started. of last couple of years. When an officer told him to put them away he refused the directive. – Post consistently. I don’t know the definition of ‘lot of work’ but initially you will need to dig in and spend hours finding the right templates, formats and laying out your site navigation. After this initial period where you must work extremely hard to build your content and audience (maybe a month? depends on your level of commitment), you can get away with a couple hours every week. 1 post a week is recommended, but the more the merrier! Keep in mind that once you get your site’s format and audience sorted out, your workload is limited exclusively to posting for the most part. WordPress.com blogs are maintained for free otherwise. -Use social media to your advantage. Publicize your posts and reach out to people to attempt to gain a fan base. -Read about SEO, efficient tagging and other topics (which as a blogger, you will learn about eventually) to try and go higher on the search engine rankings. -I repeat, post consistently! This is one of my most popular posts, and its quality no doubt stands out. Once you find the right content and audience to reach out to, churning out high quality posts makes a massive difference. Be patient though! As a final note, it all depends on how popular you want your blog to be. hello!,I really like your writing very a lot! proportion we communicate more approximately your post on AOL? Otherwise, simply tell me your problem in the comments section!